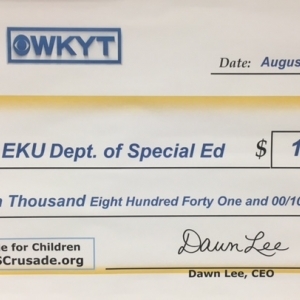 The WHAS Crusade for Children has provided a very generous grant to the EKU Speech-Language-Hearing Clinic for an upgrade to the audio-visual system in our therapy spaces. We are thrilled to, once again, partner with WHAS to be able to provide quality therapeautic services to our campus and our community! Thank you WHAS!